To my fellow New Englanders, and the New Yorkers and East Coast folks out there, I hope you are all weathering the storm somewhere safe and dry (even if you can’t read this for a week). If you’re one of the hundreds of thousands of people without power tonight, I hope you are out of harm’s way, preferably with a storm candle or flashlight and a good book. Stay safe out there, everyone. in Kids These Days, Reviews, The Horror! The Horror! Instant childhood, just add covers and a flashlight. Happy Halloween, all! Continuing with this month’s theme is a review of Scary Stories. Enjoy! THE VERDICT: Scary Stories has been banned in many US schools and libraries. It came in at #1 on the ALA’s Most Frequently Challenged Books List in the 90s and #7 in the 00s. When HarperCollins put out a 30th anniversary addition, the original, iconic illustrations were replaced with tamer, more child-friendly ones (see Cracked.com link below), likely due to controversy the illustrations and the book have courted. 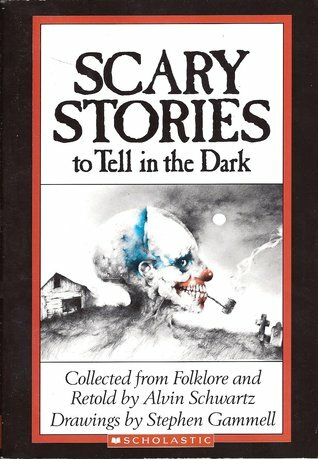 THE CHARGES: According to the ALA, the Scary Stories series is banned for occult/satanic content, violence, issues over religious viewpoint, and the disturbing nature of the illustrations. THE REVIEW: What can be said about Scary Stories? Scary Stories to Tell in the Dark, More Scary Stories to Tell in the Dark, and Scary Stories 3: More Tales to Chill Your Bones are just that: scary stories, complete with unsettling and memorable illustrations. Some are funny, some are gruesome, some are eerie. Happy almost Halloween, folks! To get you in the mood, I’m doing a review of that campy classic, Goosebumps, which this year turns twenty years old! 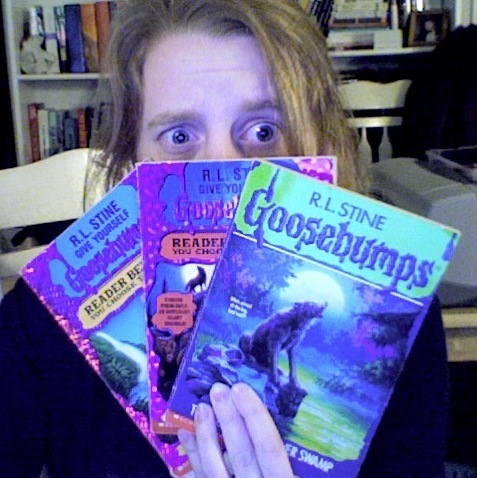 I call for a Goosebumps margarita party next year. Who’s with me? For more on the series, see the official Goosebumps website. THE VERDICT: Goosebumps books are no stranger to the ALA’s Most Frequently Challenged Books List, coming in at #15 in the 90s and #94 in the 00s. THE CHARGES: Some school districts took issue with the content of individual books, some with the entire series. The reasons for banning the books vary from them being too frightening for children to dealing with complex relationships or teenage conflicts to their alleged satanic/occult content. Some have even gone so far as to accuse Goosebumps of being a gateway drug to “more graphic and perverse books“. You know how it is, you’re at a sleepover, someone starts passing around the Goosebumps, next thing you know you’re strung out on Stephen King and smuggling Anne Rice novels across the border in exchange for some primo uncut Poe. THE VERDICT: Banned or challenged in multiple US schools. It ranked 11th on the ALA’s 100 Most Frequently Challenged Books List: 1990-1999. 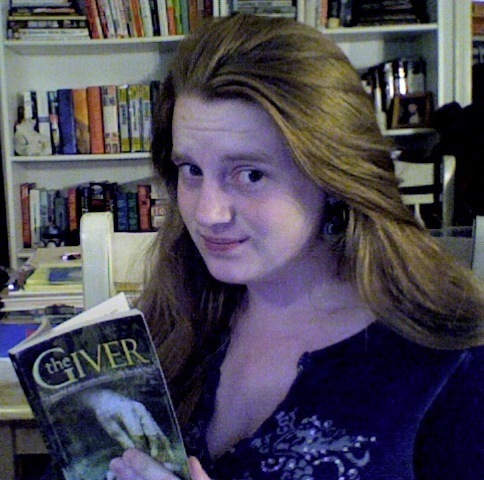 THE CHARGES: As stated above, The Giver has been banned or challenged numerous times throughout the past two decades, largely due to the troubling themes and references to human sexuality. Articles by Marshall University Libraries, USA Today, and the ALA all mention parents’ discomfort with the book’s inclusion or discussion of euthanasia, infanticide, suicide, adolescent sexual awakenings, and medicating children/tweens/adults. The ambiguity of the ending has also been an issue. An interesting article on George R. R. Martin, Banned Books Week, and the Comic Book Legal Defense Fund. Please read and enjoy. I wonder why it is that comics and graphic novels always seem to be singled out for attack, even more than regular books are. Discuss? Hey, folks! I hope you’ve been enjoying Banned Books Week! There are read-outs in bookstores across America, the Virtual Read-Out is going strong, and about half the blogs I follow have dedicated some post to the matter. Once again, it’s also Friday and that means it’s FridayReads, where people share what they’re reading every Friday to promote literacy.